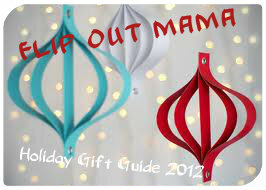 Flip Out Mama: Hot Gift: Sports Illustrated For Kids! If you have sports loving kids on your list, I have the perfect gift for you! 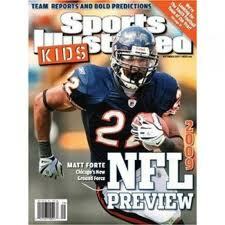 Sports Illustrated For Kids is a great gift for both boys and girls who are into sports! If you are like me, and struggle to find more things to engage your kids in reading, this is a great choice! My tater loves reading Sports Illustrated For Kids, and he is always bringing me the magazine to show me something that he has learned! If you need an inexpensive gift that kids can enjoy all year, this one is perfect! Right now you can get an ENTIRE YEAR of Sports Illustrated For Kids in Print and to read on a tablet for only $19.95! I mean really, where else can you find a gift that your kids can enjoy all year for less than $20!? No where! I would definitely recommend SI for Kids for all parents who are looking for an "educational" gift for your kids that they won't know is "educational!" Plus, it fits right in their stocking, and they can have new issues to look forward to throughout the year! If you want to sign up for your subscription to SI For Kids, just click here! Join SI For Kids on Facebook too, to keep up to date on exciting news and promotions! I will receive a promotional product in exchange for this post. All opinions and thoughts are 100% my own.